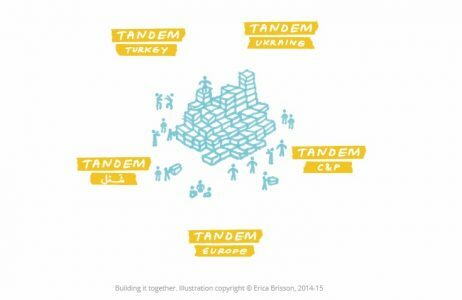 Tandem Europe is an international cultural collaboration programme that strengthens civil society in Europe and neighbouring regions. The overall focus of the collaboration is the developing of social innovation through an international cultural perspective. 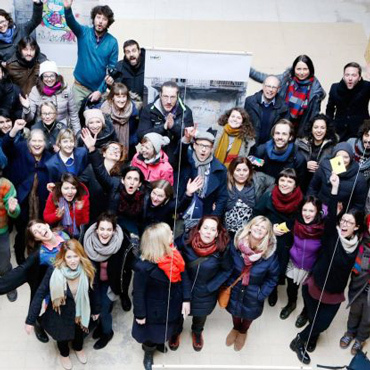 During their Tandem year, cultural-social initiators from all over Europe kick-start a long-term collaboration with a partner from abroad. Together, they design and test new ideas by realising a pilot project for their own local communities. Tandem offers the space to develop real and meaningful visions by prototyping project ideas and building on new cross-border working relations. It establishes peer-to-peer contacts that are based on mutual societal concerns and cultural and artistic interests. In 2017/ 2018 edition of the programme Ideas Factory is a part of the organisational team. In October 2017 in Sofia we hosted the first meeting of the future tandem couples – Partner Forum. We cooked the right conditions for a series of interactive activities thanks to which the teams were able to match each other. Our main parteners in this journey are 4iS (Portugal) and This Is Comm’on (Greece). In 2016 Yanina from Ideas Factory was a Tandem participant together with Marina Makgou from Ohi Pezoume (Greece). After a year-long collaboration of them two with the help of their organisations and local artists they developed a design-thinking based methodology for exploration. Submerge to it HERE!